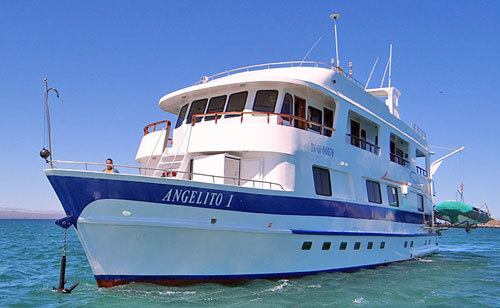 The Yacht Angelito was totally refurbished in the summer of 2013: new engines and generators and last generation air conditioning make the Angelito faster, more efficient, less noisy and more eco-friendly. 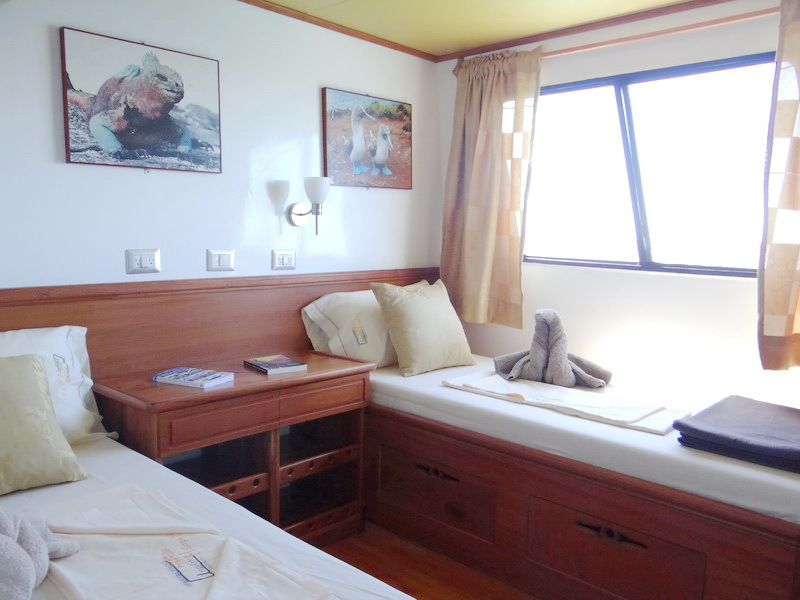 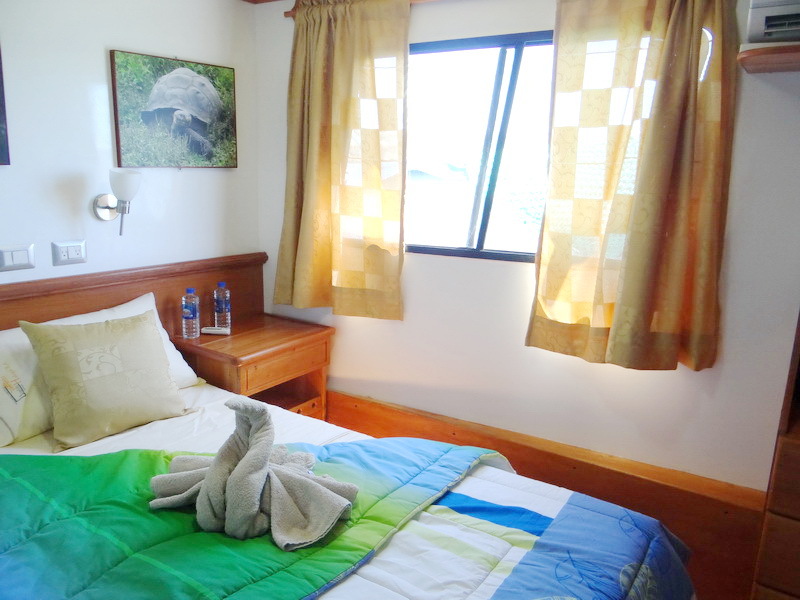 The 8 double cabins with private bath room are now all on the same main deck, with picture windows with ocean view, and lower beds; the accommodation is now possible as twin beds or as one matrimonial bed. 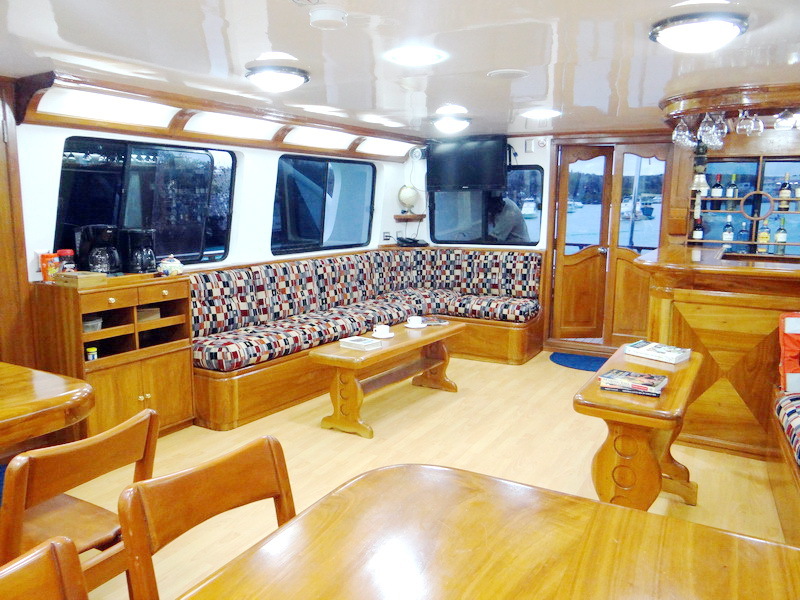 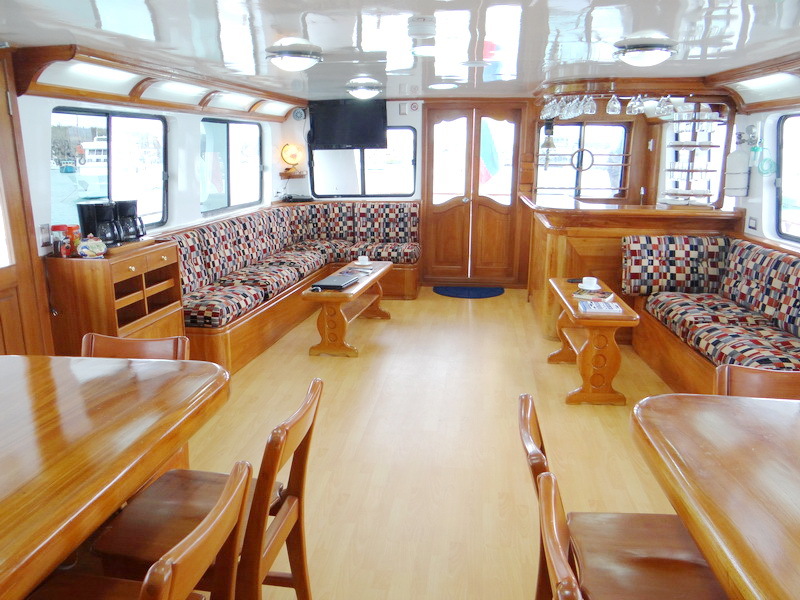 A spacious dining and social room on upper deck and the big sun deck – together with the professional guide, the friendly crew and the delicious food – complete the comfort on board. 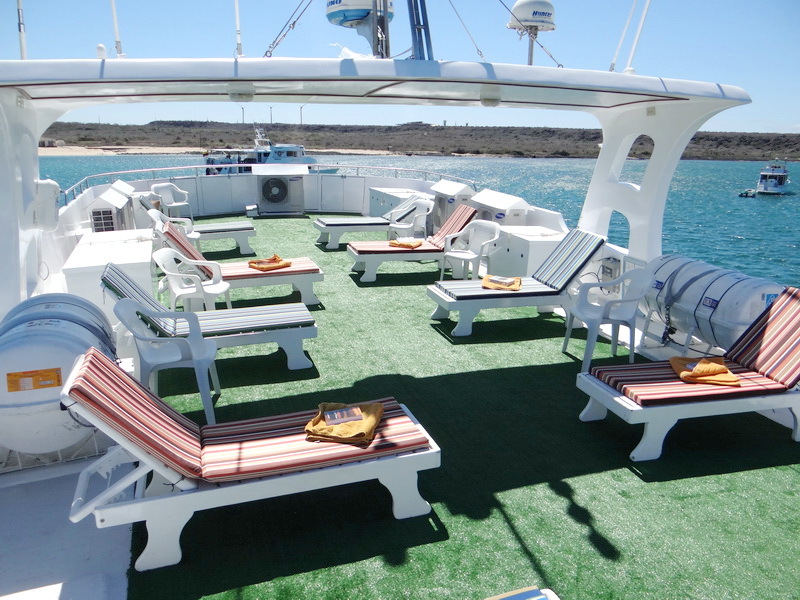 The Yacht Angelito has a 2-weeks-route: one week from Sunday to Sunday goes with ITINERARY A including highlights like Genovesa, Bartholomew and Española and the following week, also from Sunday to Sunday, with ITINERARY B, including highlights like Isabela, Fernandina and Floreana. 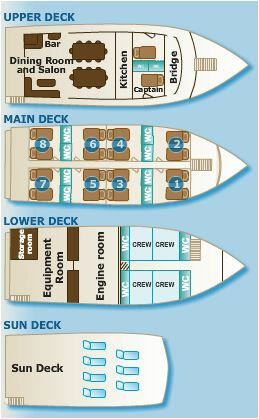 So we always alternate with these 2 itineraries and depending on your time and interests, you can choose. 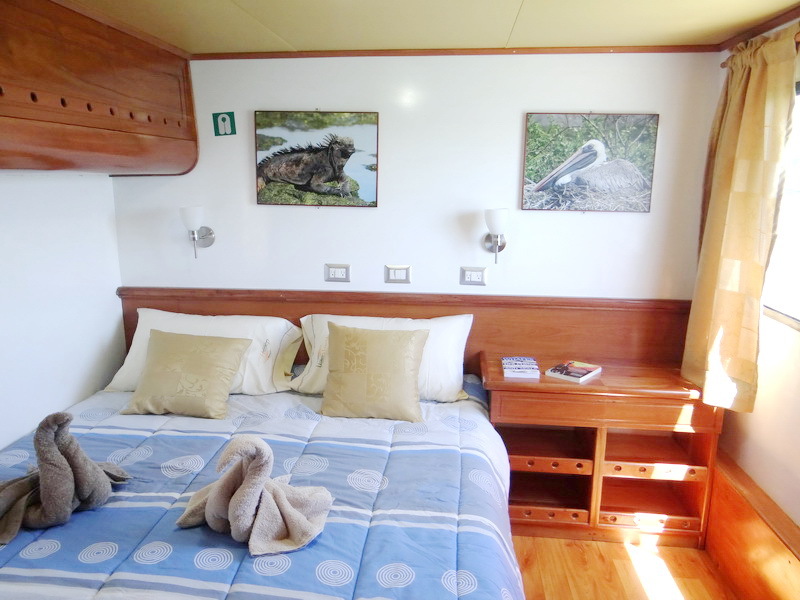 The ITINERARY A is possible for 8, 5 and 4 days cruises, ITINERARY B only for 8 days with special combinations for 11, 12, and 15 days are possible, without any repetition of visiting points. 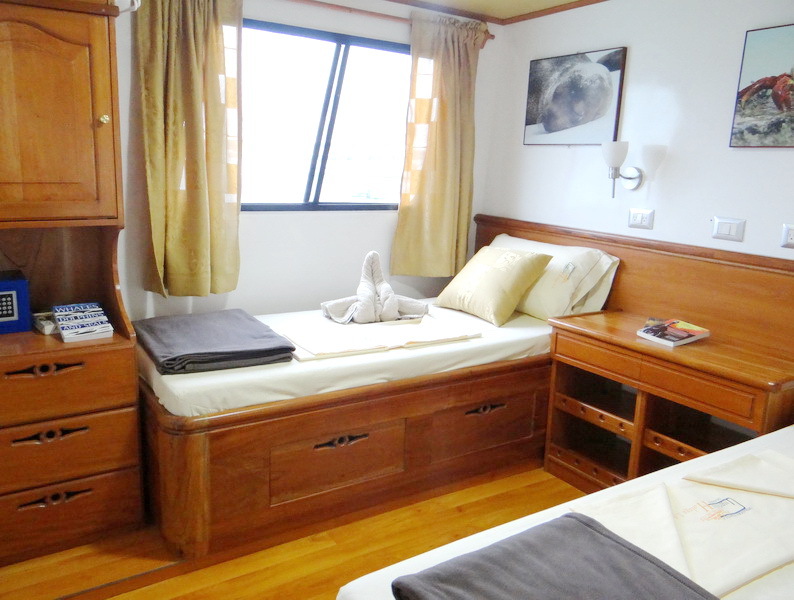 8 double cabins on main deck with, large picture window, private bathroom, individual air conditioning, safety box and hair dryer in each bathroom.